Our ten days in California began with three nights in Los Angeles visiting Charlie and Kevin, who had just moved there from Chicago and were still settling into their apartment in Marina del Rey. Sean and I were excited to see them in their new life. 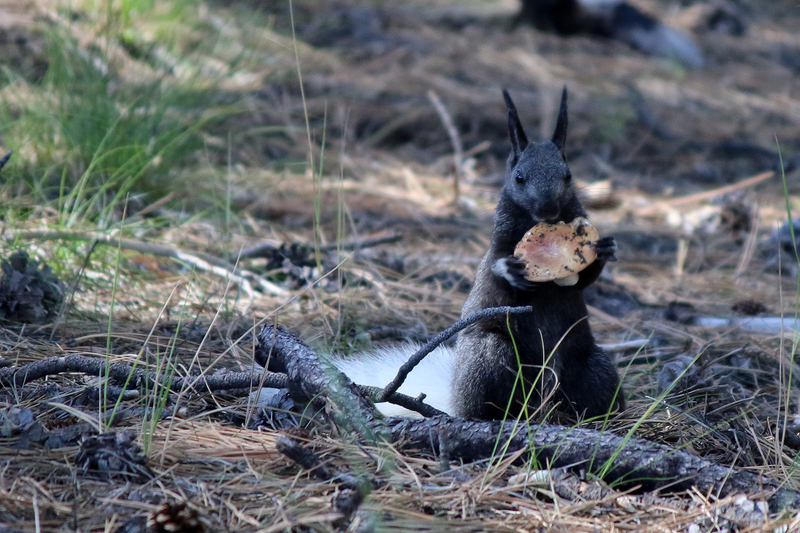 This entry was posted in Journey and tagged Arizona, California, Grand Canyon, Grand Staircase, Kings Canyon, Sequoia on July 26, 2018 by Brandon Hayes. 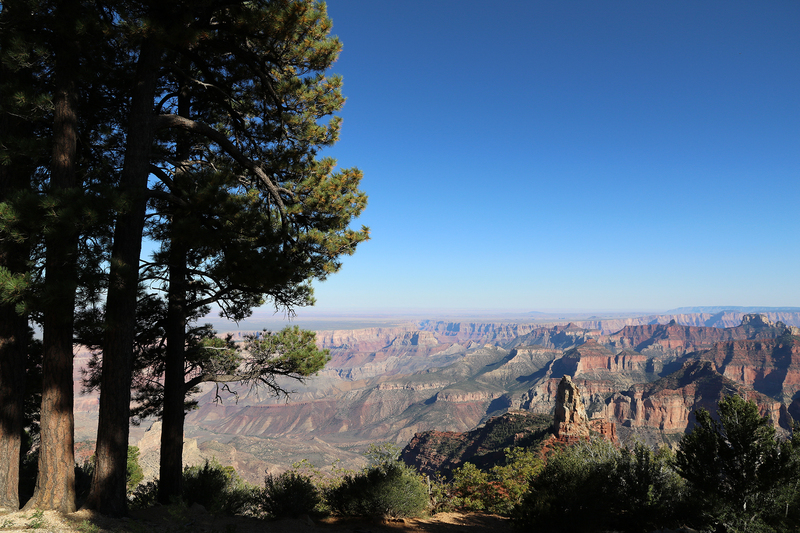 After our grand hike on Widforss Trail, instead of returning immediately to our campsite, we went to the Grand Canyon Lodge campus to hit the North Rim Visitor Center one last time. 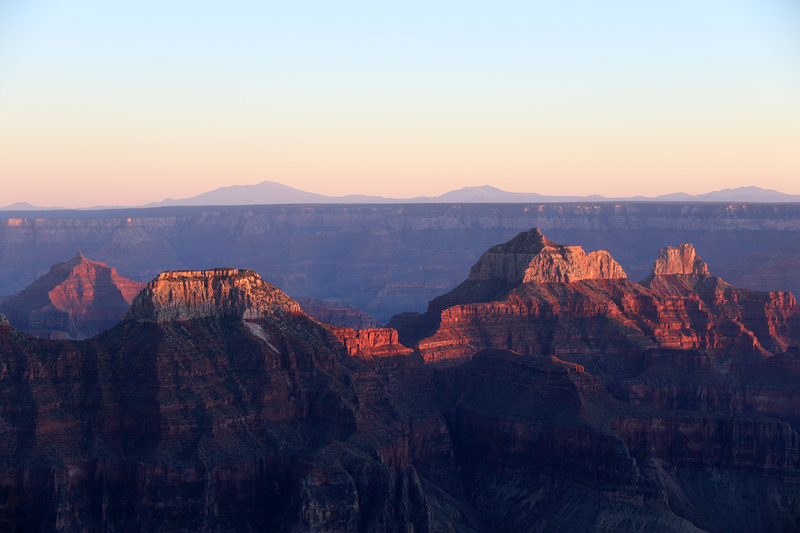 It was the late afternoon of Saturday, September 17, and we knew we wouldn’t be able to linger at Grand Canyon National Park the next morning waiting for the visitor center to open if we wanted to get back to Phoenix in time for our flight home. This entry was posted in Journey and tagged Arizona, Camping, Grand Canyon, Grand Staircase on August 10, 2017 by Brandon Hayes. 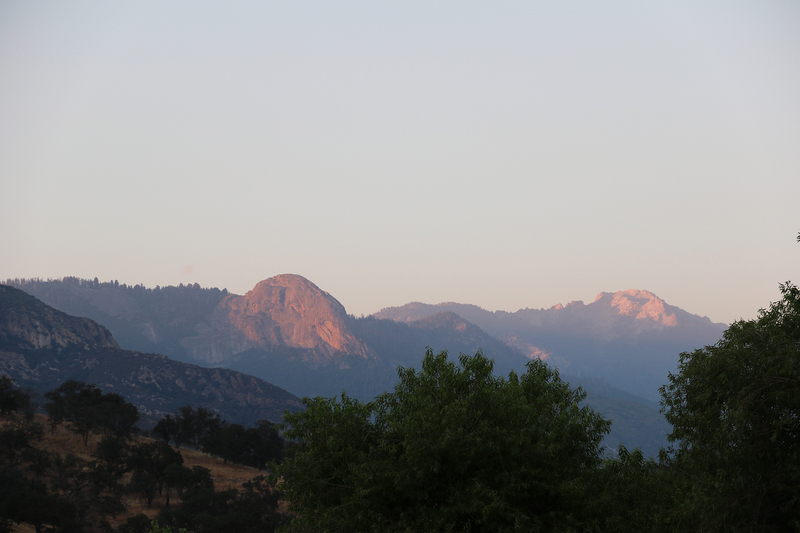 The morning of Saturday, September 17 was clear and warmer than the previous morning. 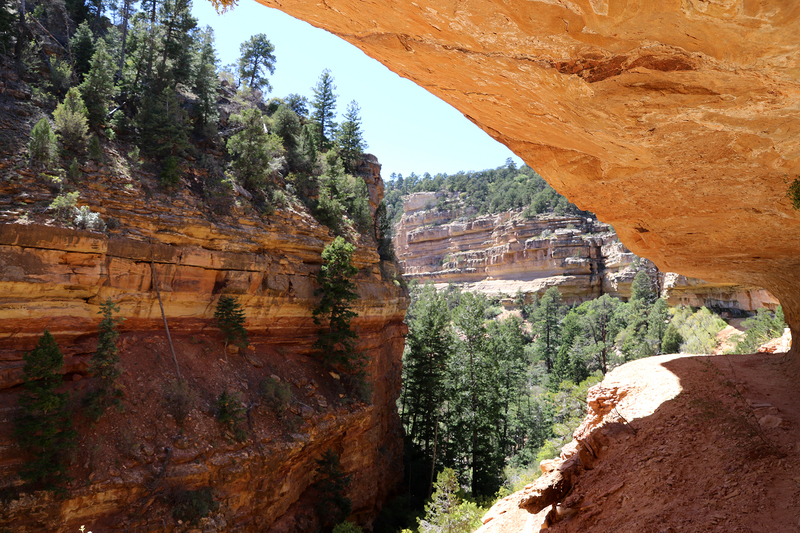 Our plan for the final full day of our Grand Staircase adventure was to hike the Widforss Trail, a ten-mile round trip through the forests of the Kaibab Plateau to Widforss Point. 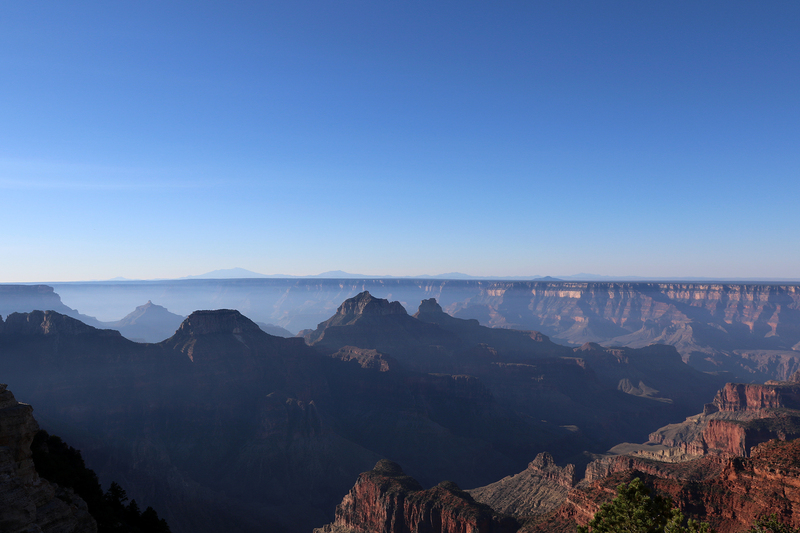 Widforss Point, which provides a panoramic view of the Grand Canyon, is the type of viewpoint that on the developed South Rim would be served by shuttle buses and a packed parking lot. 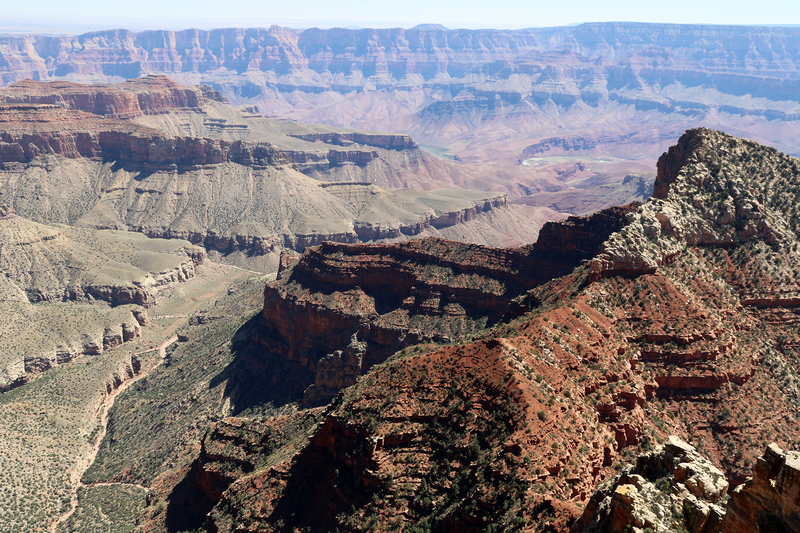 But because it was on the far less developed and less visited North Rim, it was accessible only to hikers and backpackers. This entry was posted in Journey and tagged Arizona, Camping, Day Hike, Grand Canyon, Grand Staircase on August 9, 2017 by Brandon Hayes.